On October 16th to 18th, the fifth edition of FIMART – Fair for Smart Rural Innovation, a must-attend event where the rural and agri-food sector meet to learn about the most avant-garde technological solutions related to these sectors, took place in Córdoba, Spain. FIMART 2018 was celebrated in collaboration with the 4th National Congress of Agricultural Engineers, which brought together more than 700 Spanish and international agronomy professionals. GreenProtein was proud to attend this event in the charge of Innovarum, our Dissemination and Communication partner. 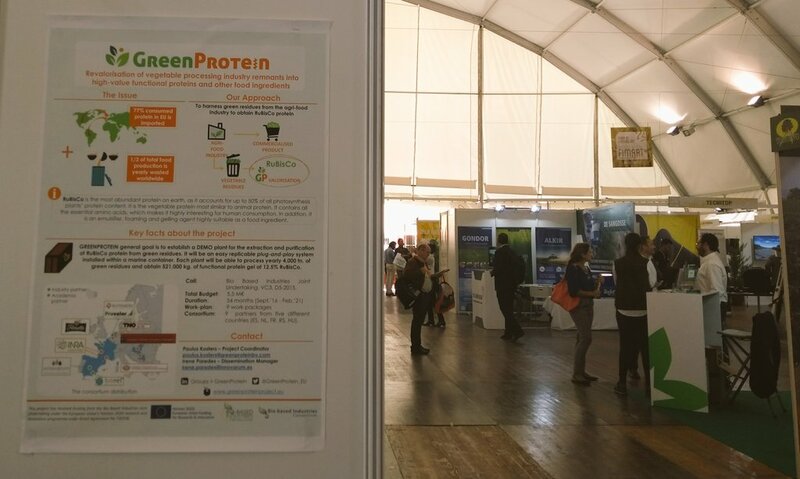 The GreenProtein poster was displayed at Innovarum’s booth, where we managed to attract the attention of the FIMART attendees, curious about our innovative process that extracts and purifies RuBisCo protein from green field waste.